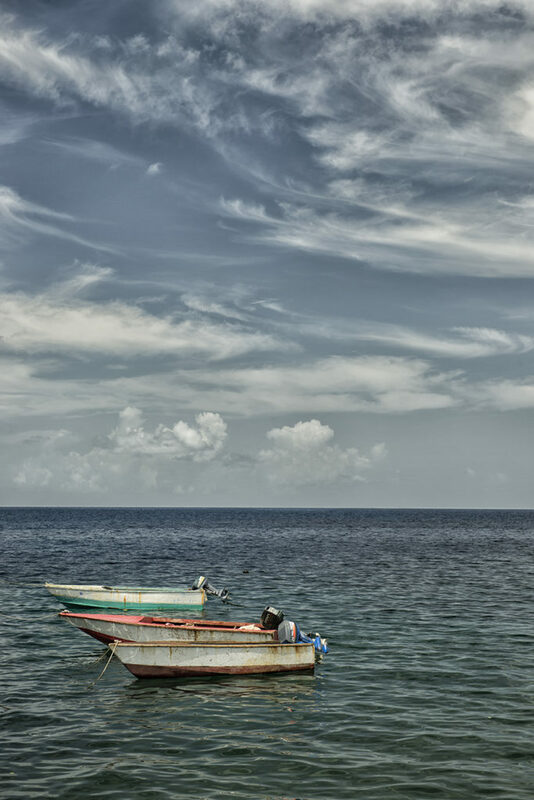 Saint Vincent is one of the lesser visited of the Windward Islands in the southern Caribbean, mainly because its beaches are black, formed from volcanic lava, not the white sand beaches that attract so many tourists to neighbouring islands. 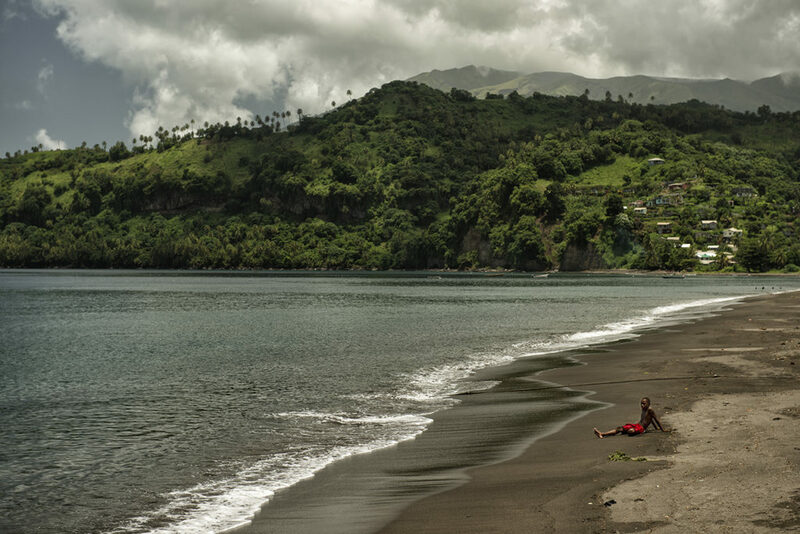 The volcano is La Soufriere, whose periodic eruptions, the most recent of which happened in 1979, have shaped the island’s history and economy as far back as the 17th century. 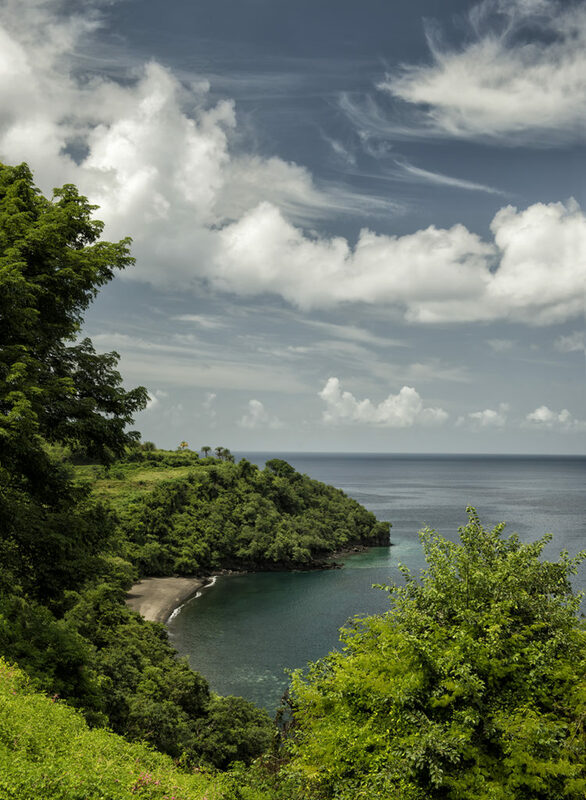 While the white sand beaches of Barbados, 110 miles to the east, attract a million tourists each year, Saint Vincent attracts only a fifth of that number. 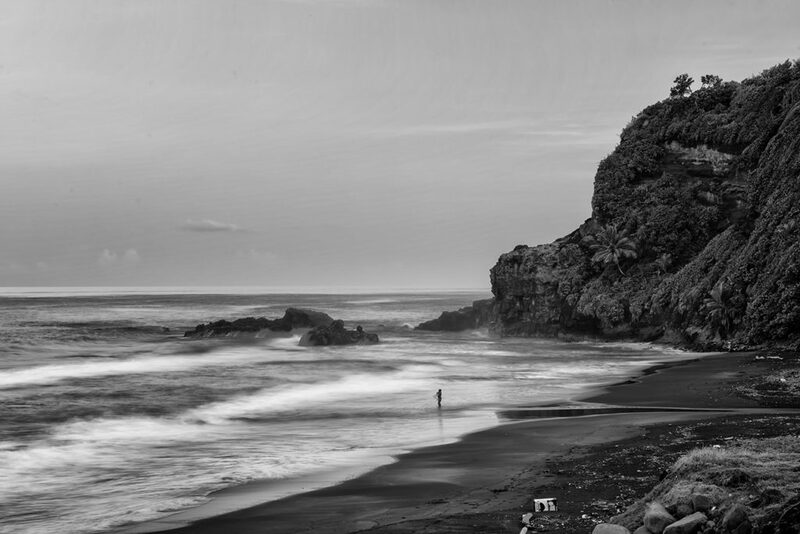 The upside of this fact is that, driving around the island’s coast recently, I stumbled across many deserted beaches, some of which, like the one in the second image, are unreachable from the road and look as if no-one has ever walked on them. Even in the coastal towns that I passed through, all I would see were a few local children playing on the beach or jumping off concrete piers into the water. By contrast with the pristine beauty of the remote beaches, the urban beaches were strewn with litter. It seems that, without the need to please tourists, the locals feel no motivation to keep their beaches clean. Heading northwest out of the capital, Kingstown, I drove as far as I could up the west coast until the paved road ran out at a small town called Richmond. After turning around and heading back down the same coast (there are no roads crossing the island, either north-south or east-west), I passed through Kingstown again, then drove north all the way up the east coast until the road again ran out at a remote northern hamlet called Fancy. There was nothing fancy about it. 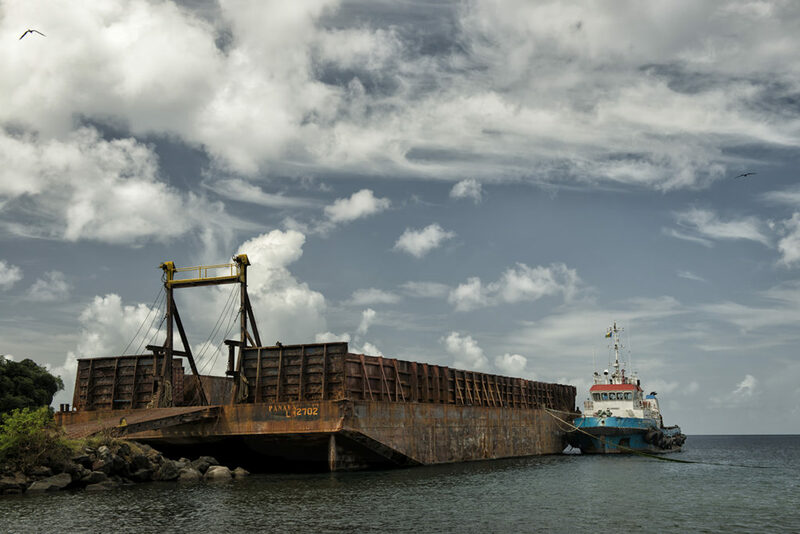 In the small, westcoast town of Layou (next image), the beach is dominated by a huge, rusted barge. I initially assumed that this behemoth had been abandoned there but subsequently learned that it is occasionally pulled out to sea by a tugboat, hauling rock, hewn from the island’s mountainous interior, to construction sites on neighbouring islands. And so it was up and down the island’s west and east coasts: pristine, unreachable beaches, interspersed with small towns whose beaches were littered with trash or the detritus of basic industry. On the west coast, the town names are French (Barrouaille, Chateaubelair) while, on the east coast, English names (Argyle, Georgetown) dominate, testimony to the number of times the island has changed hands between French and British occupiers from the early 17th century until the late 20th century.